Time rarely stands still for me. Between running a business in fast-paced Manhattan, daily blogging, and taking care of my family, it is easy to get swallowed up in the moment and not take the time to reflect. I love this time of year because the clean break in the year provides me (sometimes forces me) with the much needed opportunity to reflect about the last year. 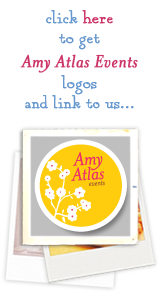 2009 has been an amazing year for us at Amy Atlas Events. We had the opportunity to collaborate with really talented people that we respect in the design, food, event, and publishing industries. I’m so thankful that we have had these opportunities. I’m also so grateful for all of the wonderful readers and supporters for stopping in everyday to check out what we are doing. It is my readers and supporters that inspire me, and it is because of you that I take the time to blog everyday. 2010 promises to be a very exciting year. I’ll be sharing some very exciting news with you soon. It has been hard not to share with you, but soon enough I will get to fill you in. I’ll also be updating the blog in early 2010 and I think you will be really excited about the changes. 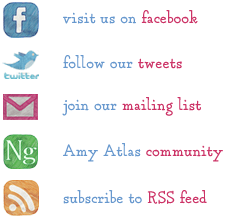 I’d love to hear your thoughts as to what you would like to see on the blog so please feel free to make suggestions. In the meantime, I want to wish you a wonderful New Year filled with good health, peace, and prosperity. Thank you for 2009 and I can’t wait to continue the ride with you in 2010!